1. Multi Tasking Staff - Pass in 10th standard form a recognized Board. 2. Lower Division Clerk - Pass in 12th standard form a recognized Board and typing speed of 35 wpm in English or 30 wpm in Hindi. 3. Staff Nurse (Ayurved) - Pass in 12th standard and Diploma in Ayush Nursing & Pharmacy. 4. 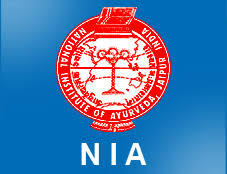 Pharmacist (Ayurved) - Pass in 12th standard and Diploma in Ayush Nursing & Pharmacy.